This is a list of everyday mundane items we may not give much thought to, but have very practical uses in our magickal workings. 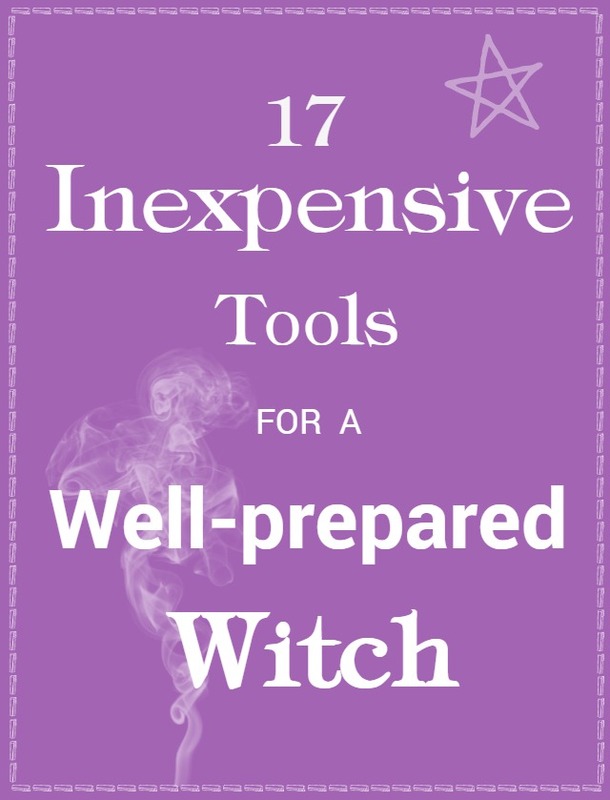 These inexpensive, even dollar store, tools will give you a witch’s toolkit ready for just about any spell you can find a need for. This is by no means a complete kit, but makes a great starter kit or you can put together a beautiful gift basket for your favorite witch. Salt- Salt is as ancient as the earth and has been revered by many cultures for different reasons. Salt sprinkled around the exterior of your home offers protection. Used on the altar it can represent the element of earth. Sprinkle salt around your circle to protect your magickal workings. Hemp twine – I love hemp twine for it’s naturalness. Use hemp twine in binding spells, knot work, protection spells, and prosperity spells just to name a few. String – Very much like twine in it’s uses, it can also be strung with beads or woven through candles. Chalk – Chalk, white or colored, is wonderful in it’s versatility. 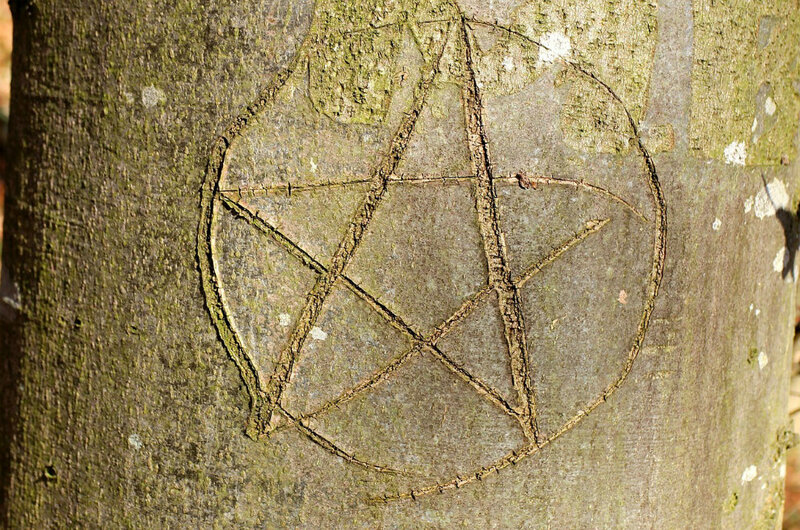 It can be used to draw symbols, talismans, runes, sigils on just about anything without the worry of causing damage. Draw your circle on the floor or an amulet for protection on your front door. Chalk can also represent earth on your altar. Glue – Great for binding spells, of course, among more practical uses. Glitter/Glitter pens-A beautiful and fun way to add symbols to your spells or altar. Ribbon – Braided, woven, or knotted, ribbon is perfect for binding, protection, love, and healing. Wax – Use wax for amulets, seals, divination, spell work, ointments, and balms. Seal the tops of jars or bottles used in spells. Ink – Ink can be purchased in many colors and scents. The most popular is red. Wicca Spirit Book of Shadows has a nice list of ink recipes and uses. Write out your spells, sign contracts, and draw symbols and amulets. Matches – Always handy for the fire element. Seems witches are always burning things. Use for incense, candles, burning herbs, paper, etc. Ball jars – Ball jars are so handy for spells. Sweeten someone with a sour disposition by filling a ball jar with honey or sugar water and plopping their photo in there. Seal it up, say a few words, and toss it in the freezer. Rubber bands – Seal mojo bags and talismans, wrap candles, or anything else you can think of. 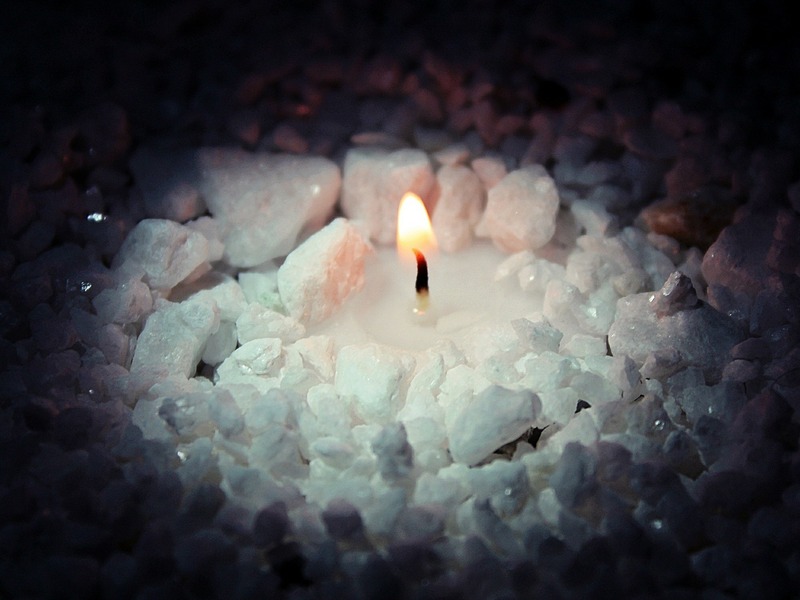 Candles – White or colored to be used on their own or in addition to other elements of your spell. Charcoal – Charcoal is used for inscribing much like chalk but with more mess. Herbs can be burned on charcoal blocks. Feathers – Representative of the air element, feathers can be placed on the alter or used in cleansing spells. Cord – Cord is the strongest for knot work and binding/releasing spells. Hat pin or Needle – Use a needle or pin for inscribing symbols in wax or candles. Pins or needles can be added to witch bottles and buried or strung up for protection. I’m sure the image of a poppet of your ex with pins sticking out all over has crossed your mind already. Just remember the rule of three. So there you have it. Seventeen simple items that will give you a complete arsenal of spells. 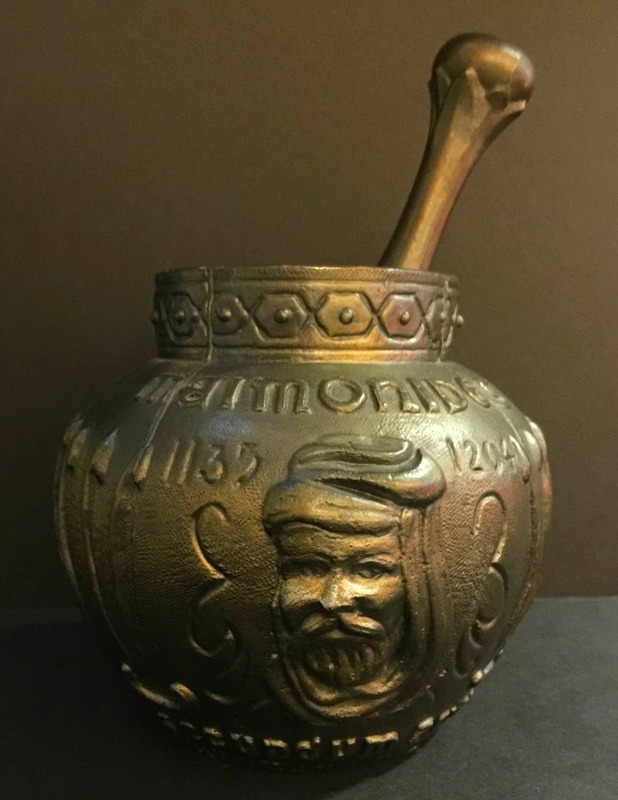 I would like to add that most of us, when thinking of a witch’s proper tools, think of a cauldron, athame, wand, crystal ball, tarot cards, bolline, etc. These items, while unnecessary, are worth investing in. However, I would not want to receive these items as a gift, nor would I purchase them as a gift for someone. This is solely my preference and personal opinion, but I feel that these items should be personally chosen by the user. It’s important to feel the energy of these items for yourself. I have a mortar and pestle that I picked up in an antique mall and it literally gives me chills when I hold it. I have no idea of it’s origins or handlers, but I can feel the energy this item carries. As always, you should cleanse your tools before use to remove any negative energy they may have acquired. Even the simple ones. Smudging or moon bathing are the simplest and quickest methods. White light. White light contains all of the colors that are. If you pass white light through a prism you will see the colors of a rainbow or the color spectrum. Basic middle school science. There are also colors in the spectrum we can not see with the naked human eye. Does this mean they don’t exist? Of course not. Everyone carries this light within us. Actually, we are this light. We’ve heard this message in various ways from various figures all of our lives. Whether or not we understand it is something else. Maybe being the light means I should be happy all the time and be a good example to others. Maybe being the light means I should always bring my smile and share my ideas and creativity with the rest of the world. Maybe being the light means I should always stand up for what is right and fight against injustice in this world. Absolutely, those are all wonderful things. But they’re not the point. You ARE the light. There is nothing you need to do but recognize this fact and BE yourself. And this light that you are is a rainbow inside you. Does this mean you’re going to fart fairy dust and shoot rainbows from your fingertips? Wellll. . .maybe someday, but I don’t think we’re there quite yet. So do something. 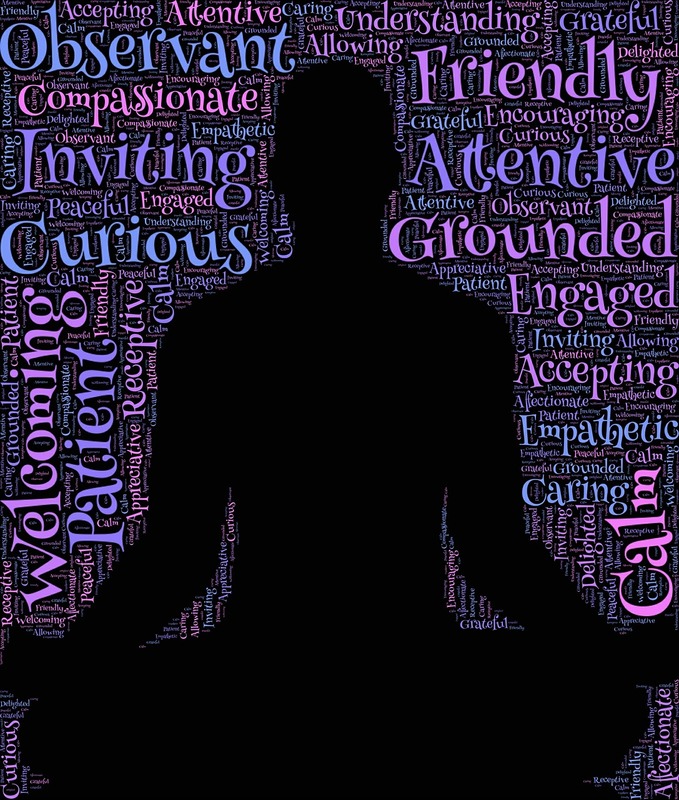 Take a few minutes and sit still and focus on your body. Take a few deep breaths and see if you can feel the center of this light or the seat of your power ranging somewhere between the center of your breastbone and the center of your upper abdomen. I can feel mine at the tip of my breastbone. If you can’t feel it, just keep trying, you will. Once you’ve located this center of power, it’s just sitting there. What do you do with it? Well, let’s expand it out. 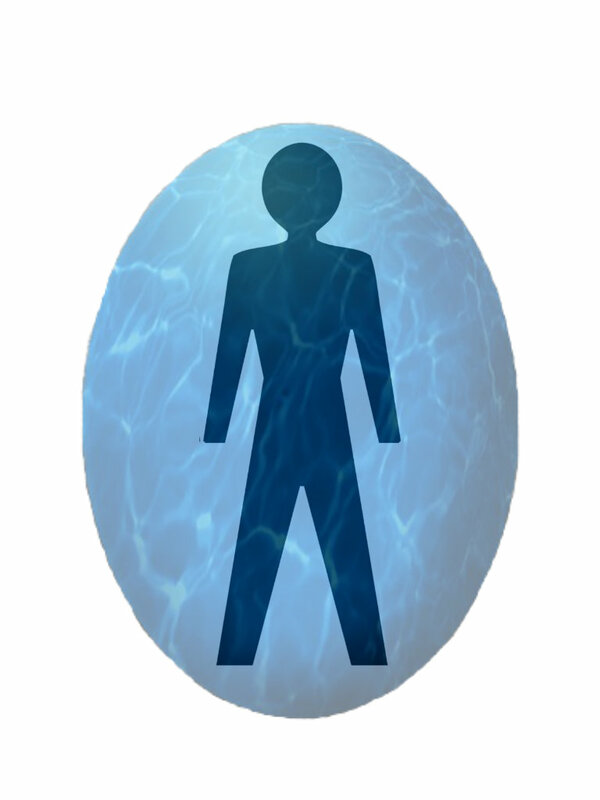 Imagine this light expanding around your body and creating an egg shaped barrier or cushion of protection around yourself. I often do this when I’m in a crowded place to block out the bombardment of emotions from others. Walmart is a fabulous example. I see nothing. I hear nothing. It’s just me and a razor sharp site line to the pedigree or the eggs or whatever is next on my list. I use it when I feel threatened emotionally or physically or simply as a precaution. When we travel I expand this field out to include us and our vehicle. When you’re new at this, like anything else, it can seem daunting and maybe even tiresome, but you will eventually do it out of habit. So you’ve located your center and expanded your light out around your personal space. Now let’s play with it. Expand it out, bring it back, bounce it in and out. How does it feel? Remember, this white light is made of all the colors of the rainbow. These colors have their own attributes and carry different energies and effect different things. You can use the colors of your rainbow to alter an environment or aid yourself or someone else. The next time your family is having a rough day, tempers are flaring, the kids are arguing, and there’s a general ‘I want to kill you for no apparent reason’ tension in the air, find a quiet space for a moment. The bathroom should work. Focus on your ball of light. Now turn it green. Expand it out until it encompasses your home. Leave it in place and go on with whatever you were doing prior while maintaining this green light in the back of your mind. If you’re comforting a friend, surround them with the love and nurturing of a soft pink glow. Whenever you need to focus on something, use yellow for mental clarity. If your children go off to play in the park, surround them with black or brown for protection. If you’re doing magical workings, use purple for psychic protection. I’m sharing a small quick reference color chart I put together. This is just a basic list. 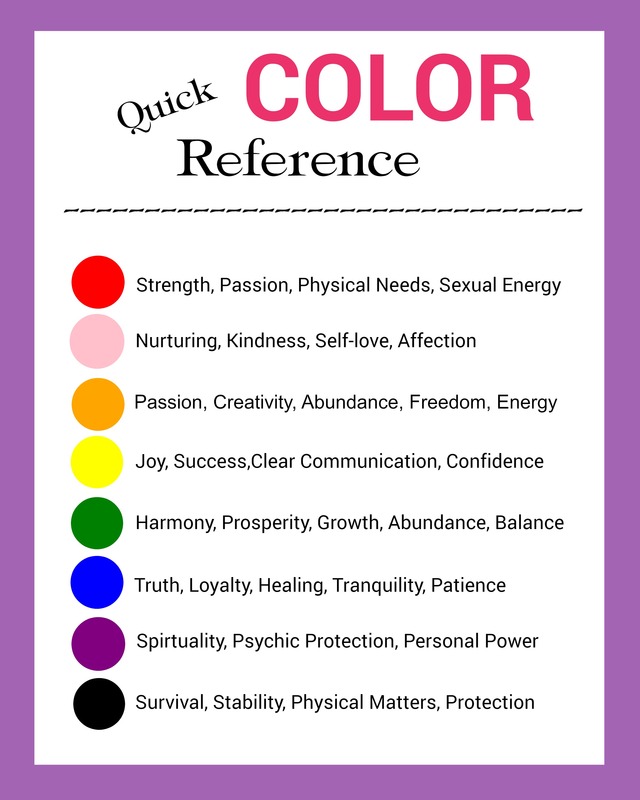 There are many colors with various meanings and a google search will bring those up for you. I’ve perused these lists and the conclusion I’ve come to is there is no right or wrong way to use the energy of your colors. Whether it’s candle magic, crystal magic, healing, or your own light, the best advice I can give is to sit quietly with your colors and determine what they represent to you on a personal level. 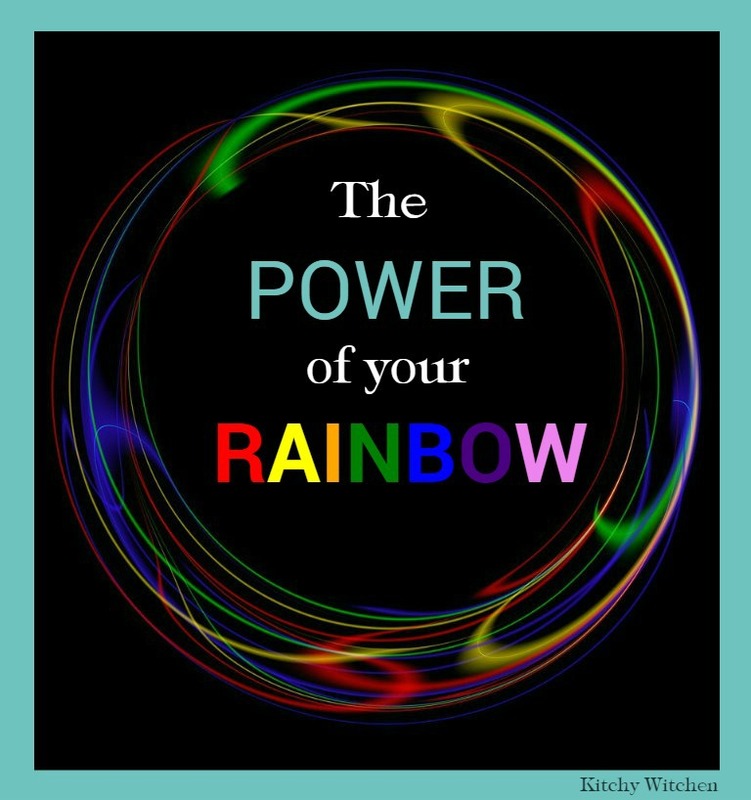 The energy, vibration and power of your rainbow is as unique as you are. One more thing, you’ve expanded your light as far as your home. We’ve practiced increasing and decreasing the size. Let’s make it bigger. Take it out around your neighborhood. Then further. Surround your state, the country, your continent, now the whole earth. Make it pink. You’ve just given the whole world a hug. It doesn’t matter if you and everyone else in the room are thinking it. You don’t say the words. Words are weapons. They blast big bloody holes in the world. And words are bricks. Say something out loud and it starts turning solid. Say it loud enough and it becomes a wall you can’t get through. – Richard Kadrey, Kill the Dead. Words are powerful things. Have you ever really thought about it? All that exists was created with words. All that exists in your personal reality has been created by the words you’ve spoken. The first time I experienced the power of words, I was five or six years old. There was a teenage boy in our sunday school class that would tease me relentlessly. One particularly bad Sunday, riding home in the car with my grandmother, I exclaimed “I hate him! I wish he was dead!” The following Sunday in church, I learned this young man had been killed in a car accident. Of course I was convinced I had caused this awful thing to happen. I was beside myself with grief and guilt. Now, would this have happened regardless? I would like to believe so. This was one lesson that made a deep and lasting impression on me. I’m sure you’ve heard the saying ‘Be careful what you wish for.’ Nothing could be closer to the truth. Words expressed carelessly in the heat of the moment can swiftly return to wreak havoc in your life. Oftentimes you’ve forgotten what you said and don’t understand why something is happening. Chances are, if you sift back through your memory, you’ll recall the exact statement that’s responsible for the current mayhem. One overly stressful day at our restaurant, I again made a statement that would cause me grief. All of my children and their respective boyfriends/girlfriends were there helping out. There was a lot of bickering back and forth and tattling going on that day. I don’t handle negativity well at all. That combined with a hectic lunch rush had me stressed to my absolute limit. Stepping out back for a quiet moment with my husband, I was near tears. “I don’t want my kids anymore!” I shout whispered. (This is not one of my proudest moments.) Immediately I clamped my hand over my mouth with a horrified expression. “Oh my god, I didn’t mean that! I didn’t mean that! That’s not what I meant! I just can’t take their bickering and fighting today!” Too late. Within six weeks all but one of my children had moved out on their own. This turned out to be a good thing, but at the time it was rough. I kept thinking ‘You did this.’ I’m happy to report though, that my grown children are now making their own way in the world and I am enjoying the stress free quiet that has become my life. These were a couple of tough lessons for me and they are all about what not to say. How about what we should say. Let’s take this the other direction and think about the good we can create in our lives and the lives of others. This is what a witch does when she/he casts a spell. When she/he speaks an incantation with intention behind it, they bring good things about. Please also understand that I am not implying that you should ignore feelings or emotions. There are many emotions in our human spectrum and they are all equally important. What matters is that we deal with them in a way that isn’t harmful to ourselves or others. In my second example, I was overly stressed and upset. Long term, this can cause ill health, so it was important that something change for me. Rather than spout off at the mouth and say something ugly, I could have expressed my needs differently. “All of this negativity is really bringing me down. How can we change it?” That ugly statement I made came from my inability to give my emotions credence. This is not to say I never have a really bad day. This is where cuss words come in handy. I can let loose a string of cuss words better than any sailor. They’re pretty much nonsense and they make my husband laugh, which makes me laugh, and I’ve alleviated the building frustration within and not caused any major harm. Another common epithet is ‘If you don’t have anything nice to say, don’t say anything at all.’ My children have heard this over and over again. I’ve practiced rephrasing things in a positive way so often that it’s become habit. Say good things everyday. Say good things about your husband or wife, your children, the neighbors you don’t like. Even if you don’t feel they’re true. Remember, you are creating with your words. It will become true. This applies to yourself as well. What do you want to change about yourself? Positive self (I am) statements can make all the difference. I am fit and healthy. I am happy. I am talented and successful. I’m not talking about repeated affirmations. I’m talking about a sustained habit of good statements about yourself. Make your statements, then allow them to come true. I am: becoming. I am challenging you to one full day of purposeful positive statements. No negativity allowed. Tell your husband he is the best husband in the world. Tell your children how smart and talented they are. Tell your neighbor how awesome their thumping stereo system is. Tell yourself how kind, wonderful, capable you are. Every time a negative statement crosses through your mind change it up to a positive statement and say it out loud. Then sit back and watch what happens. If enough of us can speak the right words, we can change the world. That’s how powerful our words are. They can create and they can destroy. They can heal and they can wound. The words you permit to cross your lips can make huge changes in your life and in the lives of those you love. It’s up to you what those changes will be. The Magic Within You. Let’s Play! Have you any idea how powerful you truly are? 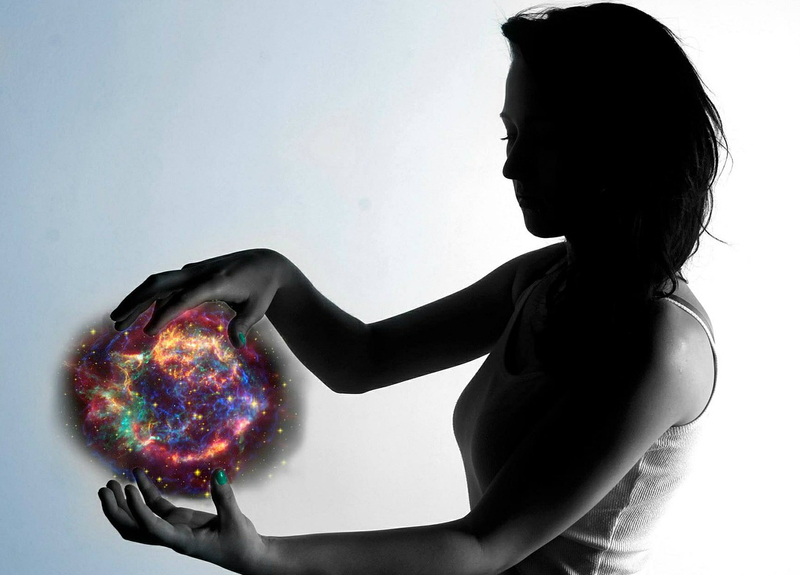 Any idea of the magic and abilities lying dormant within you? From a young age we are told by our parents that magic isn’t real, by the church that it’s evil, by our teachers that it’s wasteful and impractical. And slowly, that magic spark inside of you was tamped down and tucked away where no one could see it, and until even you no longer believed. The thing is, this spark is at the core of who we really are. We are 7 billion parts of the whole encompassing all of the qualities of the all that is. We are creator beings by our very nature and not one of us is lacking. We’ve just forgotten. The Secret is a great movie about the law of attraction. If you haven’t seen it yet, you can watch it here. I have to admit it took me a long time to wrap my brain around this. I understood the concept, but not how to apply it in real life. One of the biggest mistakes I was making was focusing too much on what I didn’t want. The universe doesn’t work in negatives. Whether you want it or you don’t, that’s what you’re going to get. It’s important to always phrase your requests and choices in the positive. An example: I want positive people in my life. Not I don’t want negative people in my life. Over the last few years I’ve gotten pretty successful at using the law of attraction. My little yorkie is a great example of this law in action. Walking around the flea market with my husband in September 2012, I was really enjoying all the little dogs with their owners. I decided then and there that day I wanted a little dog of my own. I phrased my request to the universe and put it out there. I then said ‘please’ and ‘thank you’ as though this gift had already been received. (I wasn’t real specific here. I was leaning towards a bull dog or a pug, but left it open.) Three months later, in December, my husband received a text from a friend looking for a home for the cutest little yorkie and I knew she was the one. It’s pretty awesome to know that if I want something, all I have to do is ask for it and it appears. It doesn’t happen overnight. My example above took three months after all, but the response time is becoming faster the more I work with it. I’ve had things happen as quickly as the very next day. It seems the larger the request is, the longer it takes. I think this is my belief causing it though and not necessarily the way it works. I could go on and on with examples. Once, I decided I wanted a chair for my living room. Not just any chair. Specifically a chocolate brown brushed suede chaise lounge. A few days later my dad pulls up to my house with that exact chair in the bed of his truck and says “Hey, my buddy’s getting rid of this, thought you might like it.” Are you kidding me? You just never know how or when things are coming your way but they always do and it’s so amazing and exciting when it happens. The next step is to relax and simply allow this to come to you. Don’t worry about how. That’s already taken care of. You cannot approach this with a negative attitude. Trust the universe and yourself to create what you really want. More importantly, have fun with it. And once you get the little stuff down, go for the bigger things. A car, a house, a trip, a major life change. Isn’t this exciting! Just imagine what you can do! Let me know what you’ve chosen and how it works out. Just remember, don’t give up if you don’t get what you asked for immediately. It may take some time. Happy creating! Did you ever have someone in your life that seemed to be wonderful one minute and stark raving mad the next? Does it seem to run in cycles? Let’s narrow that down some more. How about a personality flip around the solstices or even every couple of weeks. My first husband fits this description exactly. Our relationship, based on his behavior, ran in two week cycles. Great and then bad, on and then off. Twice a year he would go completely off the deep end which would result in major drama and upheavals in our lives. Granted, he had his share of issues, but how much of a role did the phases of the moon play in his behavior? In my personal experience, a lot. I could set my watch by it. Okay, we’re going to have a blow up in 3, 2, 1. . .
A full moon will see an increase in erratic behavior in anyone that suffers from unhealed issues such as fear, anger, depression, or addictions. Anyone that works in healthcare or law enforcement can attest to this. So what about a new moon? According to SpiritualResearchFoundation.org, “An increase in negative energy attacks and subtle negative pressure has been observed on full moon and new moon days. 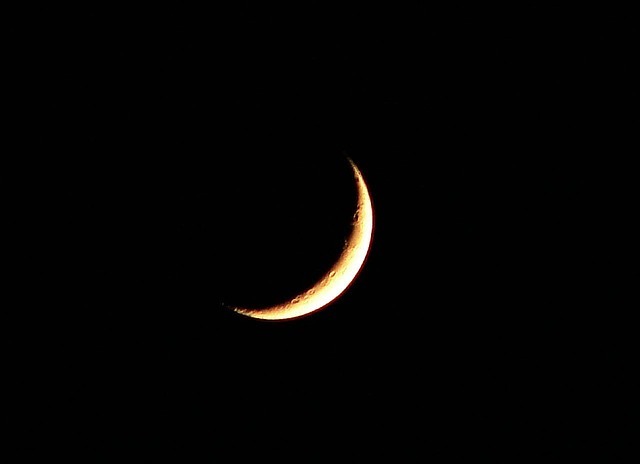 It starts two days prior to full moon or new moon and ends two days after.” So yes, a new moon affects us also, only with slight differences. A full moon has more effect on the physical body while a new moon has more effect on the mind. You can read more about this here. Spiritual Research also mentions negative energy, ghosts, and demons having more power and influence on humans on these days. Do I believe in these things. You bet your sweet patootie I do. There are plenty of cantankerous energies hanging around with nothing better to do than cause trouble (perhaps a future post on how these negative energies come to exist.) And as we all know, misery loves company. They will congregate and hang around places of low or negative energy such as a bar, a gang hangout, or an unhappy home. These energies use the power of suggestion to get to you. Go on, have another drink, I’m ugly, nobody loves me, the world’s better off without me, I wonder what it would be like to kill someone. Have you ever caught one of these thoughts fleeting through your brain and thought, “Woah, where’d that come from. That wasn’t me.” They will pick a fear or insecurity and emphasize it and if you’re in a bad place already, it could get ugly. When my youngest daughter was 11 she woke me up crying in the middle of the night insisting she was going to stab me with a knife. She was inconsolable. “But Mommy, I don’t want to hurt you!” she cried. “And you’re not going to.You are in control of what you do. Just tell those scary thoughts to go away.” You better believe mom was doing some major witchy work behind the scenes. We have a new moon coming up tomorrow January 20th and are in dark moon now. This is also one of six supermoons we will see this year. (A supermoon is when the moon is the closest it will be to the earth.) If you notice your friend is a little off, your sister suddenly won’t speak to you, or the elderly parent you care for is cranky and uncooperative, it’s probably the moon. A new moon is a powerful time. It’s perfect for new beginnings, starting a new relationship or endeavor, setting new goals or reaffirming old ones. This is a great time to do some wishing spells if you’re so inclined, put together a vision board, or write your desires in a journal like I do. If protecting yourself from negative energies is a concern for you, I wouldn’t worry too much if you’re the type of person that is generally in high spirits (no pun intended). You probably have nothing to worry about. Maintaining a high vibration or frequency is key. Practice anything that makes you feel good. Listen to great music, watch funny animal videos, have a laughfest with your best friend. It’s your mood and thoughts that matter. There are various crystals that can be used and a good article on that can be found at hibiscusmooncrystalacademy.com. (I use amethyst myself.) I also love her perspective on negative energy. You can sprinkle salt around the perimeter of your space or make a witch bottle for protection and bury it near your front door. Either way just being aware is the biggest protection against undue influences. It’s been several years since I cast a circle and performed a full on spell. To be honest, I don’t feel they’re necessary. Spells can be just as effective without it. I suppose it would depend on the gravity or importance of a matter. For really big spells in which I would use a circle, I take a very long time choosing the implements I will use. I examine my intent carefully and choose my words carefully. I create all of my spells myself. I feel this makes them stronger and there is a ton of great information on the web from proper herbs to use to candles to oils etc. Although, I don’t see as many sites as I used to. Once a spell is complete, I give it time to see if it’s successful. If so, I put it in my book (my grimoire) for future reference. I may never need it again, but it’s there. Sometimes I struggle with casting. I think that we walk a fine line between being helpful and interfering in situations. If someone is supposed to go through a hardship for the learning experience and the sake of growth, then who are we to potentially hinder that? Just something to think about. We also always need to take karma into consideration. Ever mind the law of three, what you put out comes back to thee, and it’s often swift and just. When I’m greeted with the whole evil black magic response from others, that’s the first thing I explain. First of all, I would never do anything to intentionally harm another, and there’s extra insurance thanks to good old karma. Not messing with that. No. Thank. You. The awesome thing is that karma works for good also. It can even start a whirlwind effect that lifts you higher and higher until you’re fairly bursting at the seams. Life doesn’t seem to be going to good for you lately? Do something kind for someone else and watch what happens. Then do something else good and something else. Remember what you put out comes back to you. It’s like a drop in a pool of water. 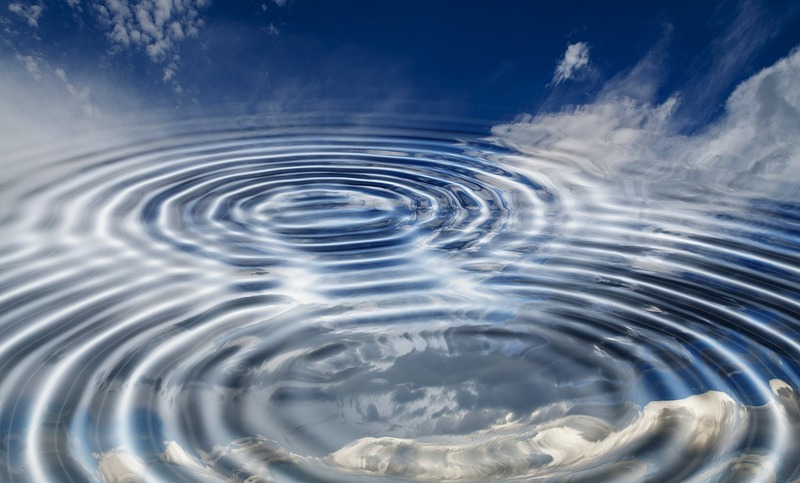 It ripples out, bounces off the edge, and returns to center. What returns is your choice. Life can be pretty amazing for a practicing witch. I wake up every day excited to see what I’ll create and what good I can do. I’ve come a long way in the last 15 years (learned a lot), and I’ve discovered that the only real truth that exists is the one you create for yourself, because no thing exists outside of ourselves. One’s truth is never the same as another’s and that’s okay. Wishing you a magic filled day! Fifteen years ago I began my journey in Wicca. I had been raised Presbyterian and it just didn’t make sense to me. There were more questions than answers and I was never very good at following along blindly. I made a decision one day that I wanted the truth, the whole truth, and nothing but the truth. Research began in earnest. I devoured various books and websites. I studied everything from Christian theology to quantum physics and everything in between. This was a very long process. Bits of information would blow my mind to the point that I would have to step back (sometimes for months at a time.) while I chewed on it and decided whether or not it made sense. Through all of this study, I stumbled upon Wicca. Now this made sense to me. The earth, nature, herbs, crystals, energy, vibration, and intention felt right to me and I jumped headlong into study and practice. This was not always easy as I had years of Christian teaching to overcome. When I made the choice to embrace Wicca, something pretty amazing happened. Stepping outside one evening to sit on my porch, I noticed everything glittered. The leaves, the grass, the flowers winked and sparkled, and I was stunned by the beauty. It was a profound moment for me in which I truly grasped the meaning of connecting with nature, and understood the life that runs through all things. Many years later, I no longer call myself a Wiccan. I don’t really wish to be labeled, but for sake of an identifier, I say witch. It’s gone beyond this even really I feel, because I’ve a greater understanding of how it all works. When others are curious and ask me about it, I try to explain that magic is very much like other things that can’t be seen such as air, radio waves, cell phone signals. I feel that we are on the cusp of grasping this, and soon it will be second nature to all of us. After all, we only fear what we don’t understand. Magic, to me, works on the basis that all things carry their own vibration, and all things are here to benefit us in some way. 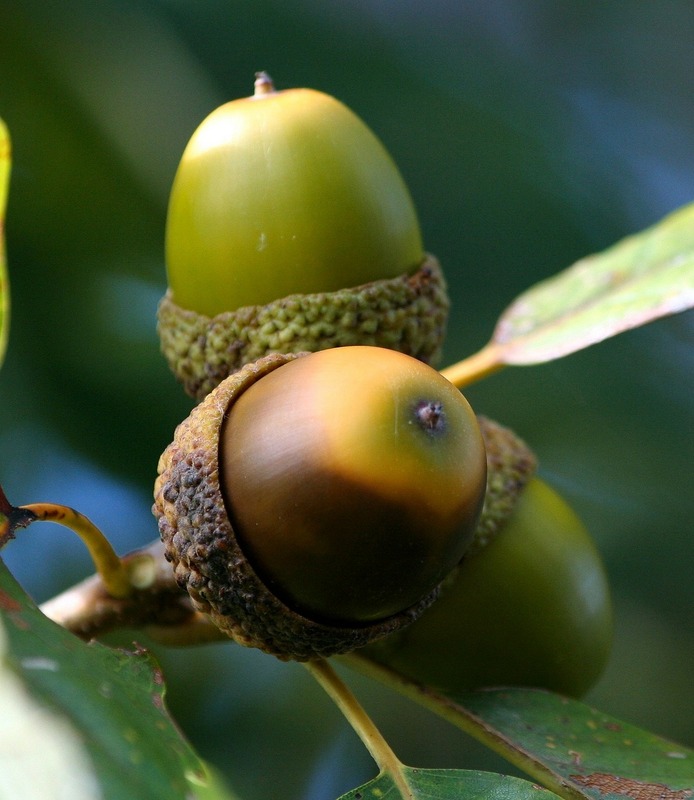 Plants, crystals, rocks, wood all carry a living vibration (the energy of all that is. ), and if you can stop for a moment and just hold a rock or a flower you can feel this energy. 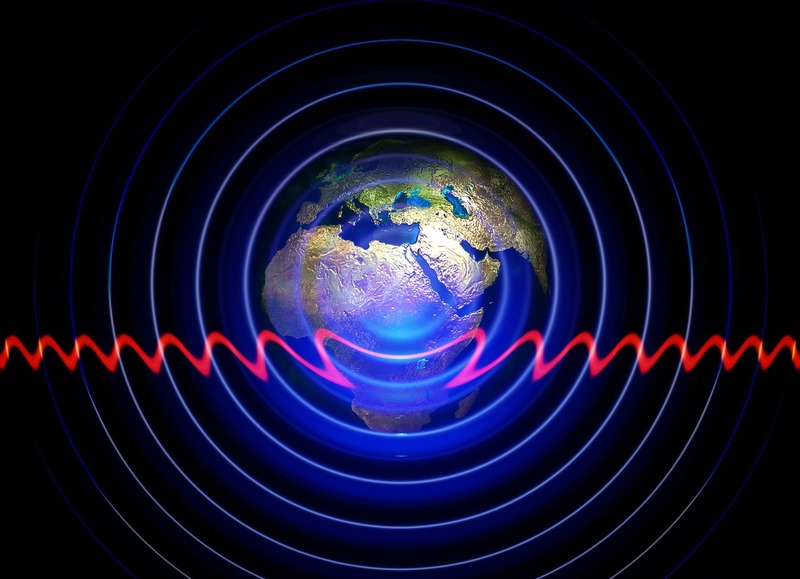 Tune into it like you would tune into a radio signal and see what wisdom it has to impart. The energy of emotion and intention combined with the energy of the essences chosen create the basis of spell-casting. Everyone does it and just doesn’t know it. We take spelling in school. We study our grammar books (from Wikipedia: Borrowing from French grimoire, from Old French grammaire. From Wikipedia: Grimoire /grim’war/a textbook of magic. ), so that we can do our spelling well. Better, I say, to be casting consciously than unconsciously. The most basic of spell casting begins in your kitchen on your stove (I know I say this a lot.). When my oldest daughter Kate was just four years old she understood this. As I was rolling meatballs for dinner one day, Kate climbs up on a chair on her knees, puts her little chin in her hands and watches me, looking thoughtful. “Mommy. I know why your food is soooo good.” she says. “Because there’s so much love in your hands!” she exclaims. 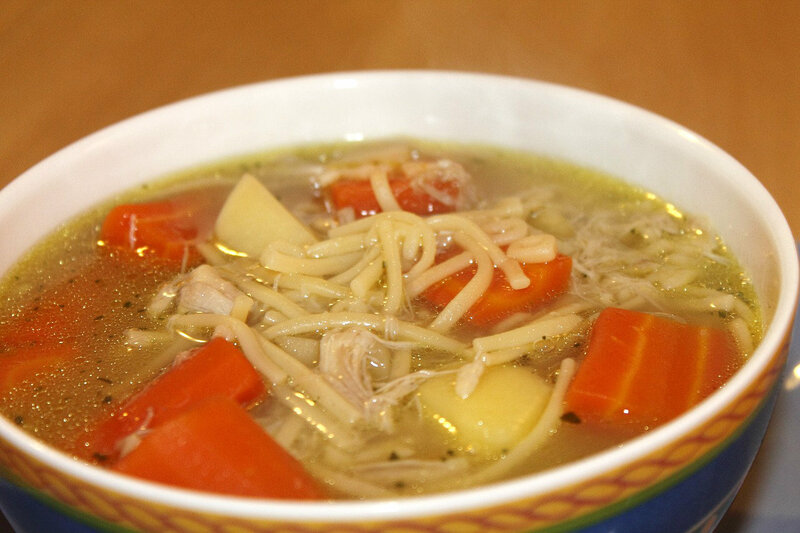 This is why mom’s chicken soup makes you feel better when you’re sick. It’s a combination of the energy of the ingredients used and the love and healing intention that goes into it. If you’re not convinced, make a meal when you’re angry and see how it turns out. These are basic energetic principles, and they work whether you’re making chicken soup or casting a circle for a protection spell. Dr. Masaru Emoto (who sadly passed away a few months ago.) 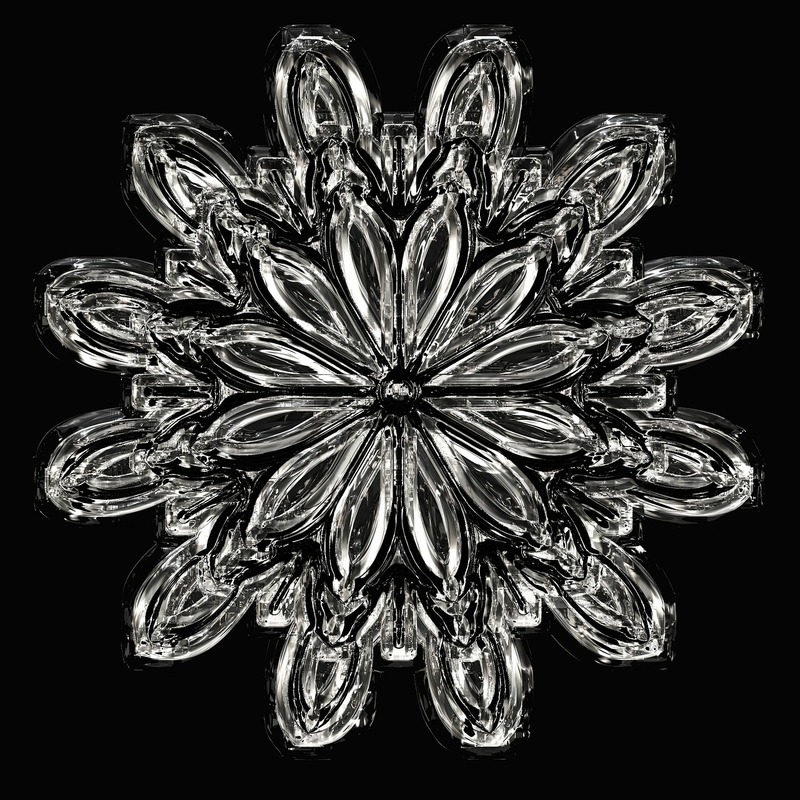 has done research on water crystals and how good and bad vibrations have an effect on the formation of these crystals. If you’re interested in learning more about this you can find this information here. This is a great example of our energy affecting things around us.